Click the links below to see Dr. Lee on TV and webinar. 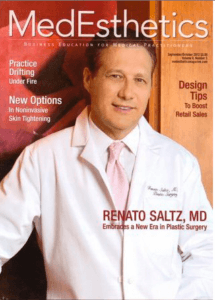 His Amazon.com Book on his Advanced Cosmetic Injection Techniques was a 2016 BEST SELLER in Amazon's Medical Procedure. 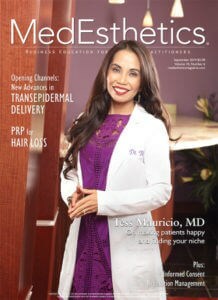 Dr. Lee’s articles were Nationally Published in the 2012 Issues of both MedEsthetics and The Aesthetic Guide Magazines. 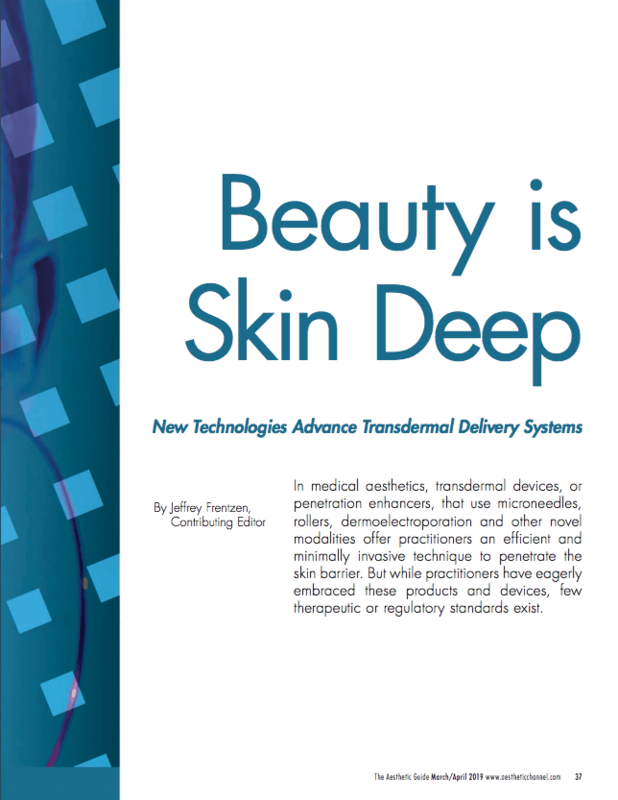 His first Article of 2014 (on Juvederm Voluma) was Published in the March 2014 Issue of MedEsthetics and his second Article of 2014 (on Platelet-Rich Plasma), co-authored by Plastic Surgeon Gordon Sasaki, MD, FACS, in the September 2014 Issue of MedEsthetics Magazine. 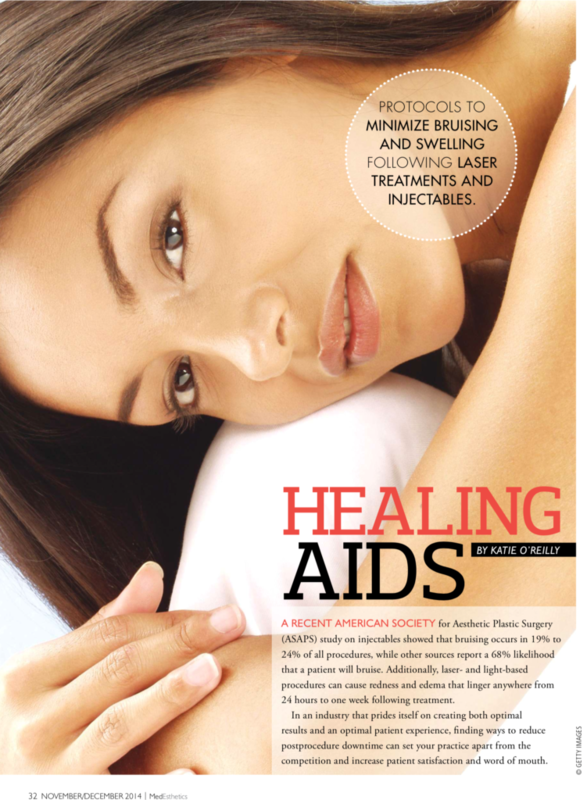 His Article was selected as the cover Article of the peer-reviewed January/February 2015 Issue of PRIME: International Journal of Aesthetic and Anti-Ageing Medicine. 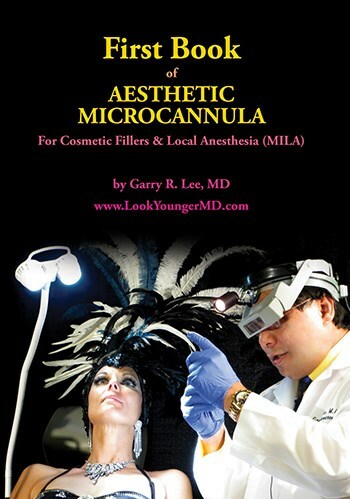 Dr. Lee’s book, First Book of Aesthetic Microcannula, was an AMAZON #1 BEST SELLER in 2016, and is now in revision for the 2nd Edition due to the progression techniques in this area. 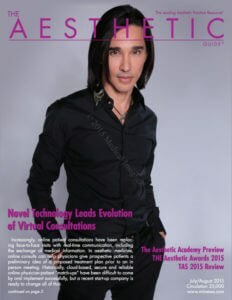 Dr. Lee, as the WINNER of “The 2015 Aesthetic Award for Best Facial Injectable Enhancement Physician in the USA,” the Most Prestigious Competition for Clinical Excellence Among the Top Plastic Surgeons, Dermatologists, Cosmetic Physicians in the USA. 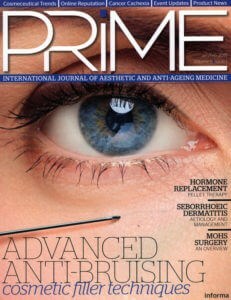 Dr. Lee’s Article on “Advanced Anti-Bruising Cosmetic Filler Techniques” was Selected as the Cover Article of PRiME: International Journal of Aesthetic & Anti-Ageing Medicine, Published January/February 2015 (Peer Reviewed Journal). 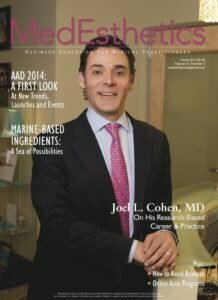 Dr. Lee’s MedEsthetics Article on Platelet-Rich Plasma (PRP), ”PRP for Hair Loss,” co-authored by Internationally Renown Yale Plastic Surgeon Gordon Sasaki, MD, FACS, was Nationally Published in September 2014. 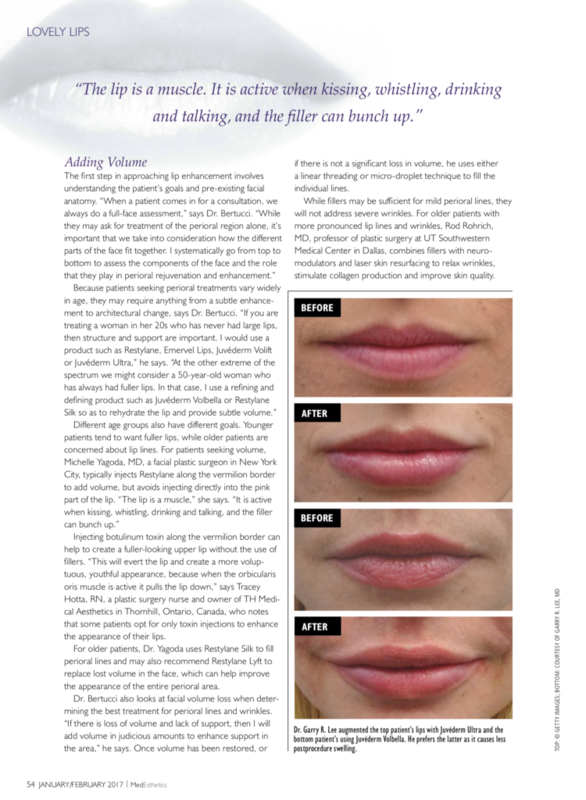 Dr. Lee’s Article, “Mid-Face Volume Replacement,” was Nationally Published in the March 2014 Issue of MedEsthetics Magazine on Juvederm Voluma Applications Techniques. 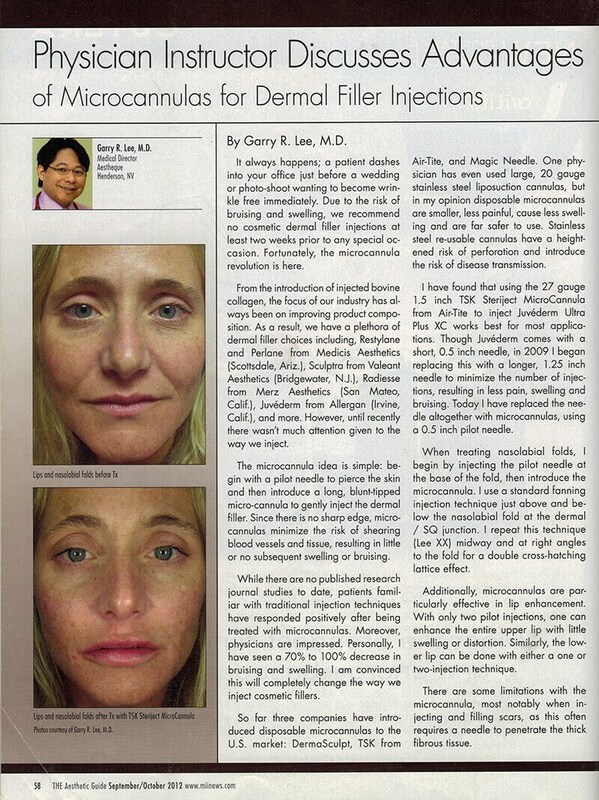 Dr. Lee’s Article, “Physician Instructor Discusses Advantages of Microcannulas for Dermal Filler Injections.” Nationally Published in The Aesthetic Guide in September 2012. 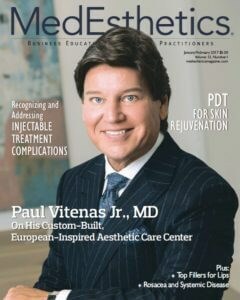 Dr. Lee’s MedEsthetics Article, “The Anti-Bruising Cannula Revolution,” was Nationally Published in September 2012 on Injecting Cosmetic Fillers Using MicroCannula Techniques. 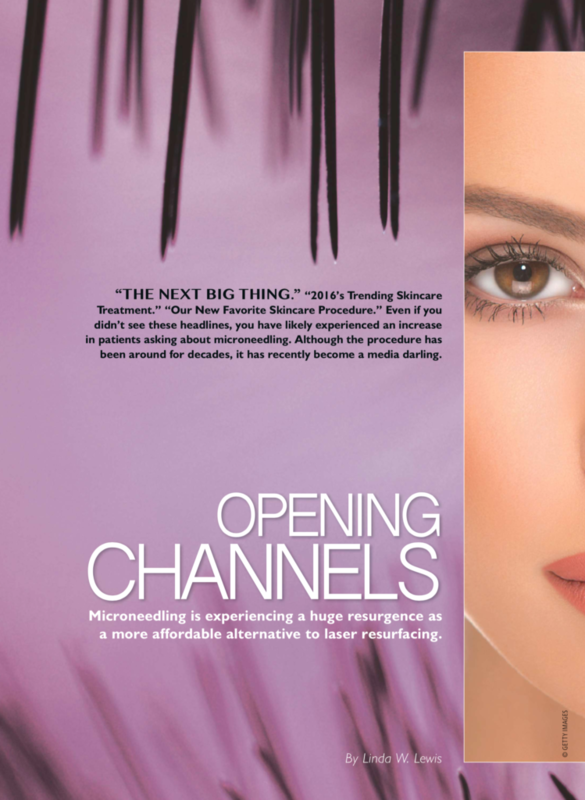 Dr. Lee was cited as a Top Expert in the MedEsthetics Article, “Opening Channels,” which was Nationally Published in January 2017 on the benefits of Microneedling for skin resurfacing. 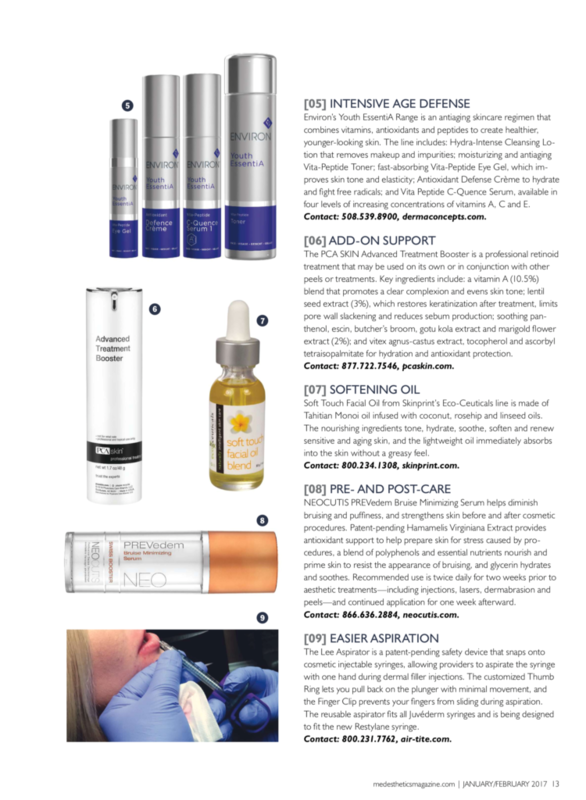 Dr. Lee’s Interview on “How to Manage HA Filler Complications,” was Internationally Published in the Canada’s “The Chronicle of Cosmetic Medicine & Surgery, Autumn 2017.